The data is in (see chart below)! This is not a buyer’s market anymore! The inventory is low and therefore, buyers today agree to compromise on different criteria they wouldn’t have if the inventory situation was different. So there is almost no more houses that go on the “do not buy” list, buyers will expand their search to include different neighborhoods, school district and even number of rooms so they can still find a house and take advantage of the low mortgage rates, which are surprisingly getting still continue to lower. To find out what’s on the market in your area, click here. Categories: first time home buyers, home buyers, home sellers, market trends, metro Atlanta area, mortgage, real estate | Permalink. Want to know the local trends in the housing market? 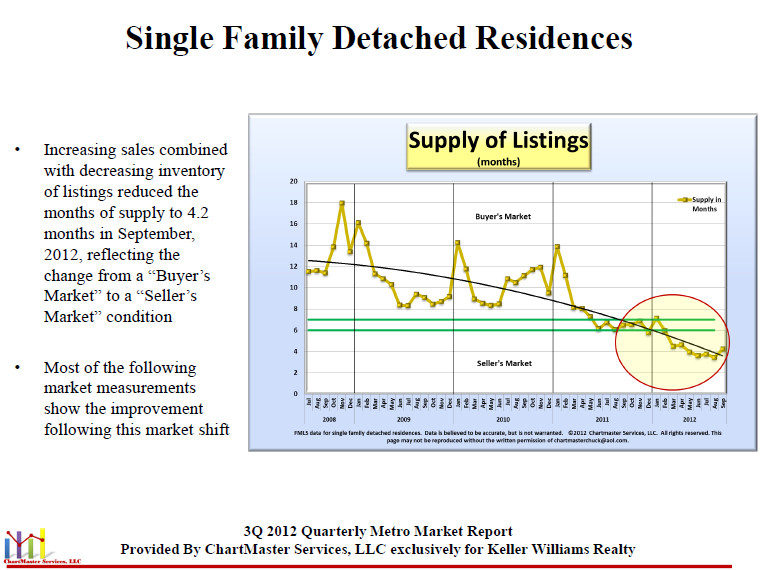 Take a minute to get updated on housing prices, supply & demand, new constructions, the mortgage situation and more by visiting the Metro Atlanta Area Local Market Report for Second Quarter 2012. Don’t miss the opportunity to find your dream home and search listings in you community today. Categories: home buyers, metro Atlanta area, mortgage, real estate | Tags: local trends, metro Atlanta area, real estate market trends | Permalink. A huge part of being prepared to buy a house is to be pre-approved for a mortgage. But, unlike the common belief – it’s NOT enough to be pre-approved for mortgage! In the current real estate atmosphere when inventory is low and there are more buyers than properties you must put your best foot forward! You should be prepared with all the required documents and respond quickly to the loan officer requests, so he can approve the loan in a timely manner. What often happens is that buyers have a false sense that they got it covered just because they were pre-approved, then they might find themselves approaching the end of the due diligence period and not having the mortgage approved. In this case, if they are not approved they will lose the earnest money and will not be able to proceed to closing! The other thing that might happen is that the loan is not approved before the closing date and thus needs to be postponed. Under most contracts, you will need to compensate the seller for every day of delay in the closing date, and you might need to pay them as much as 1% of the price a for every day of delay! This can adds up to a substantial amount of money! For those reason, your mortgage should be approved and ready for the due diligence period. Then you can really be assured that you can buy the house you want! I guide my clients through this process and help them with choosing the lender, deciding on the best offer and more. Contact me today to schedule your consultation! Categories: first time home buyers, home buyers, metro Atlanta area, mortgage, real estate | Tags: first time home buyers, home buyers, lenders, metro Atlanta area, mortgage, pre-approved | Permalink.